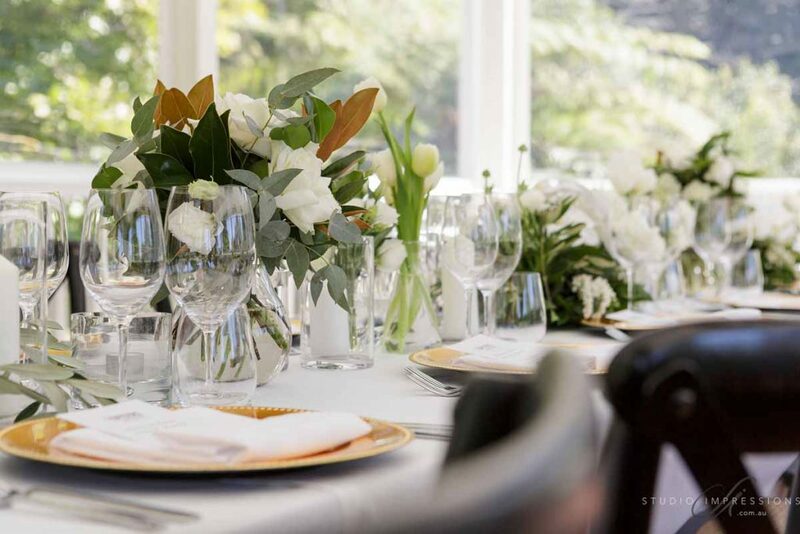 Set at the luxurious Spicer’s Clovelly Estate, our stylish couple chose to have quality and quantity for their big day. 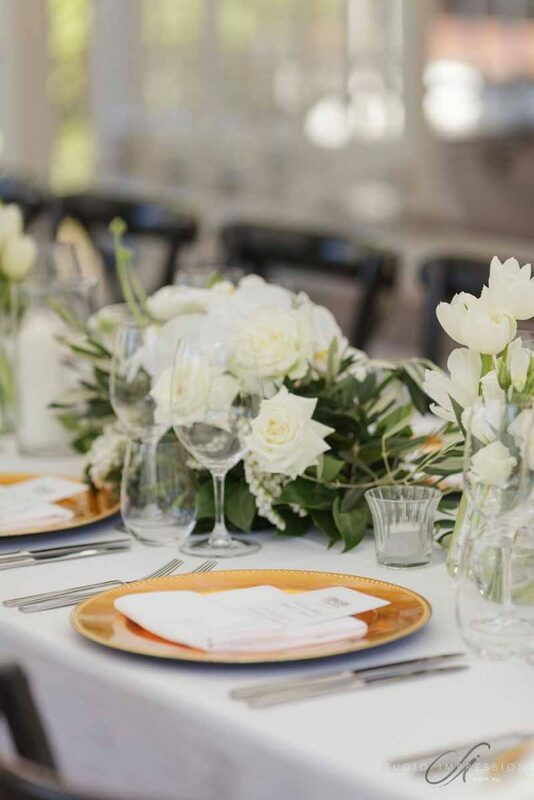 This very intimate wedding of only 24 guests was lavish in every way. 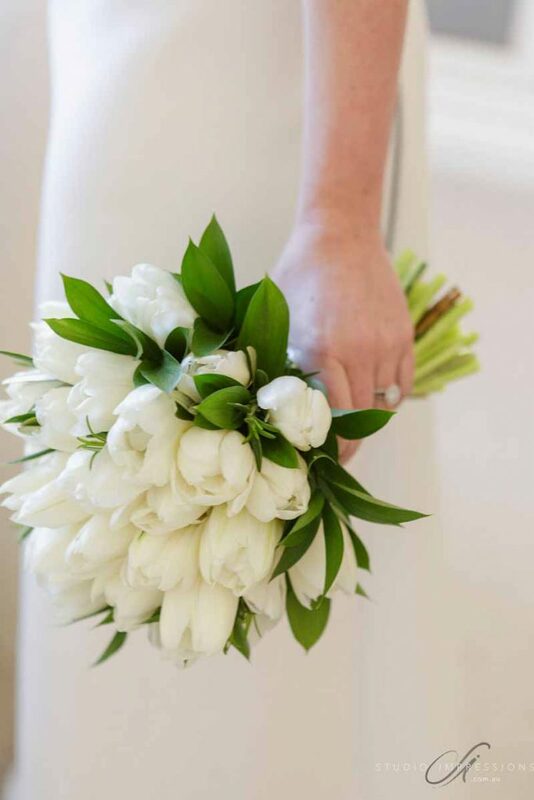 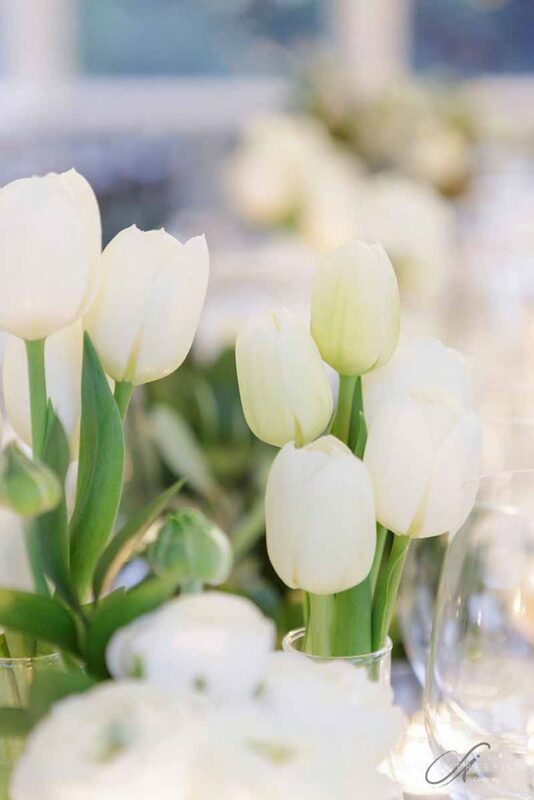 Kimberly’s favourite flowers were tulips, being a winter wedding over 200 tulips were incorporated into this wedding! 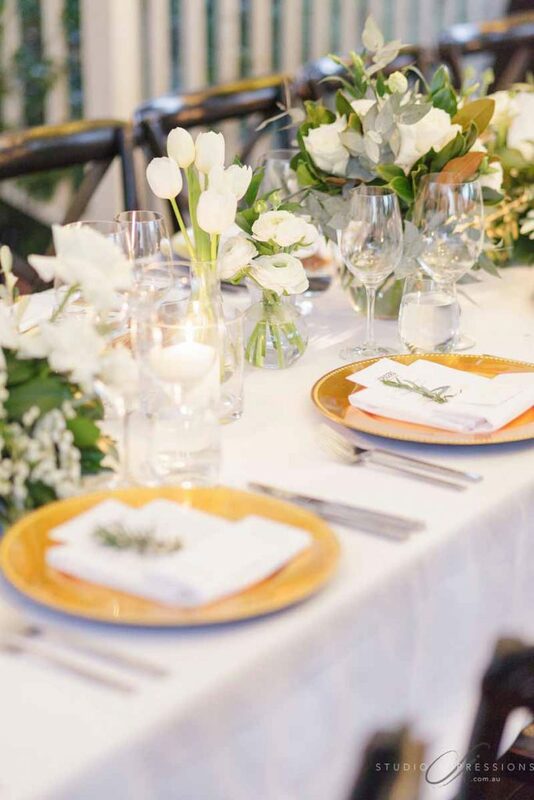 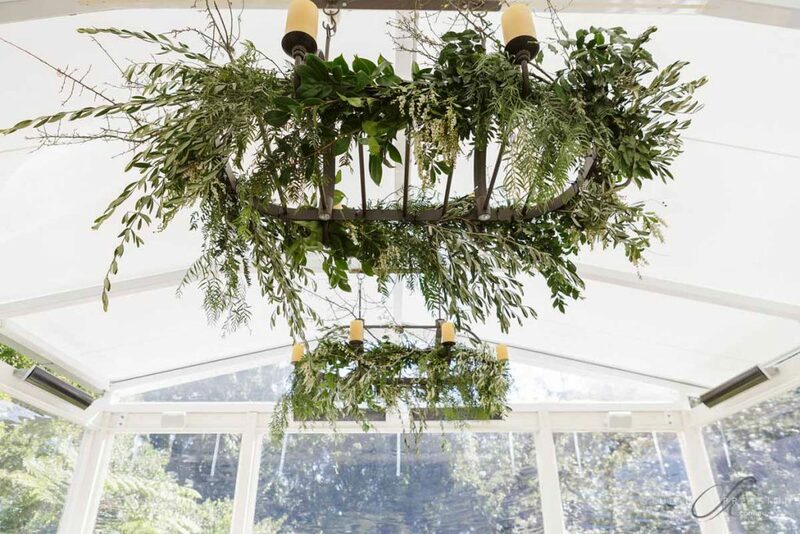 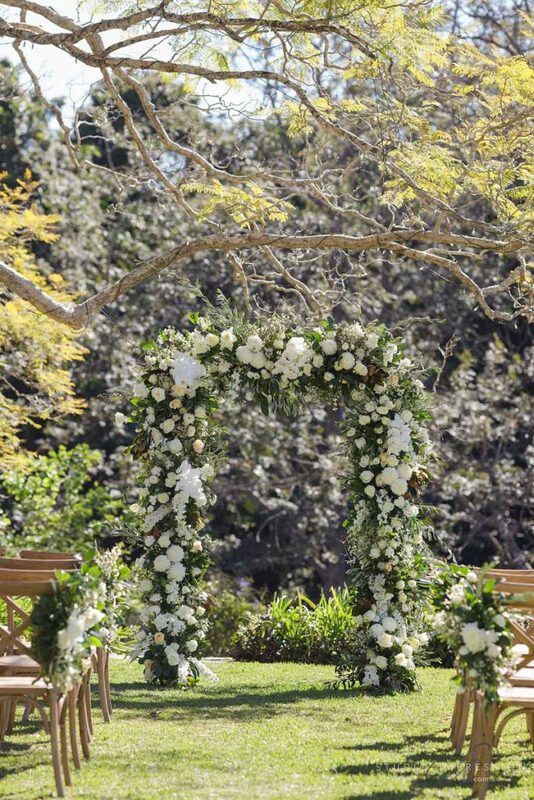 We also used an abundance of ranunculus, Phalaenopsis orchids, Andromeda, and roses as well as olive leaf, magnolia, blossom branches, pepper tree and camellia leaf. 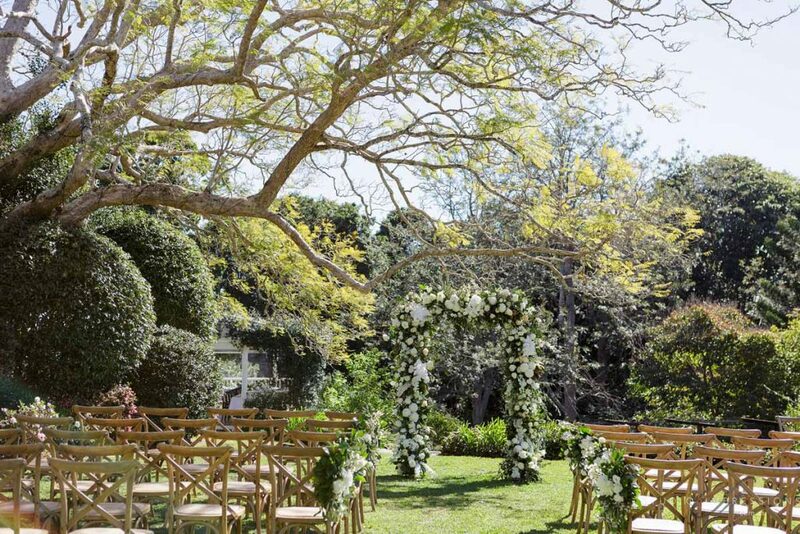 The ceremony space was really stunning on the Spicer’s Clovelly lawn. 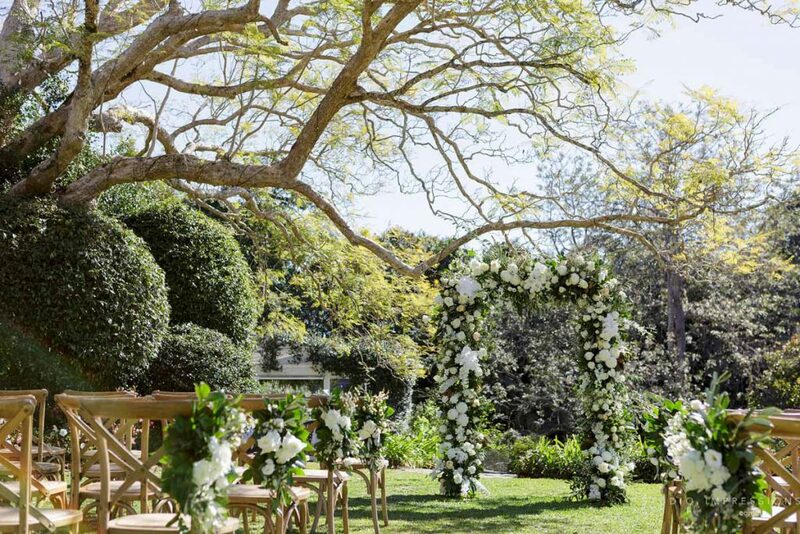 Our arbour completely dripping in high-quality blooms looked so luxurious in the winters sunlight. 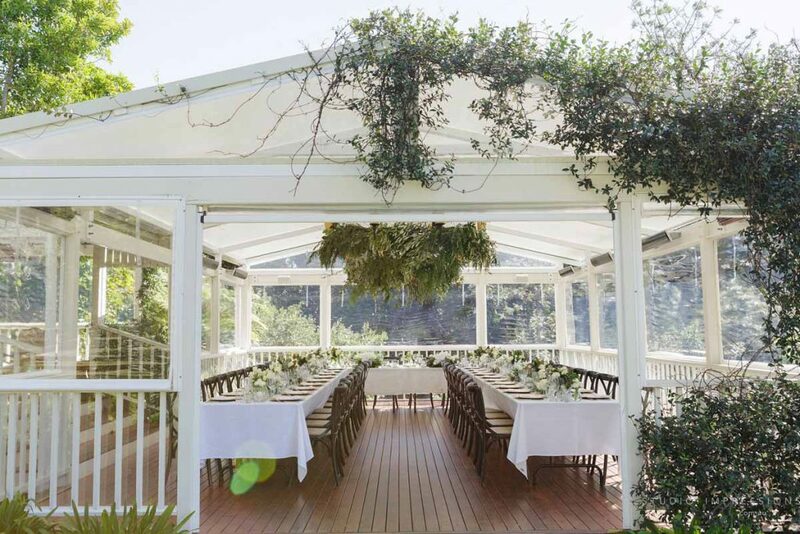 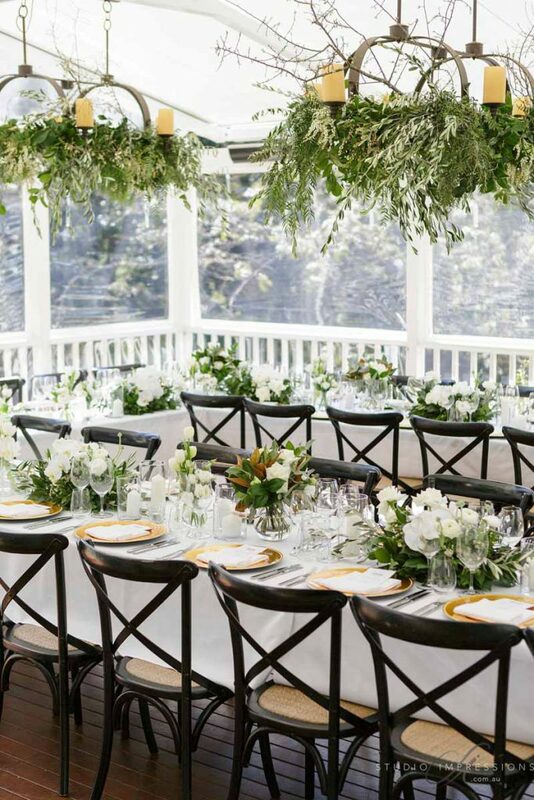 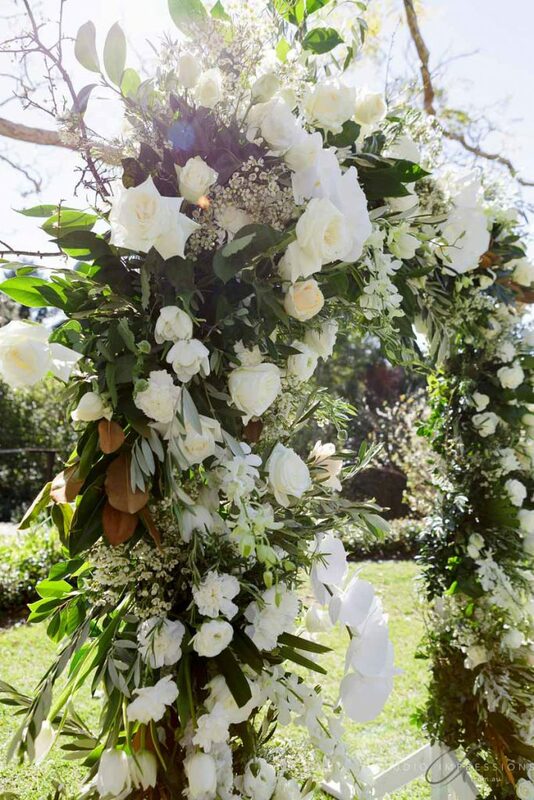 Layers of crisp white blooms adorned the arbour for the most incredible photos to always be remembered. 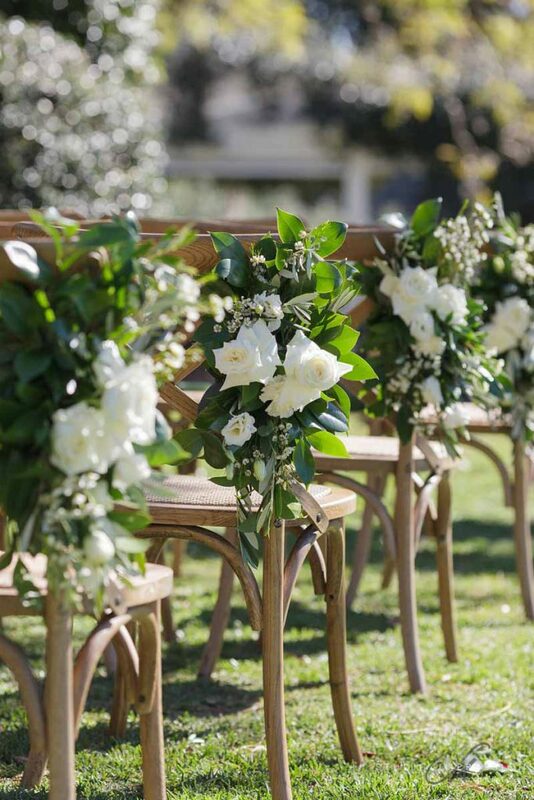 Aisle gardens were attached to the inner natural cross back chairs (available at Simply Style Co) of the aisle for a soft and feminine look. 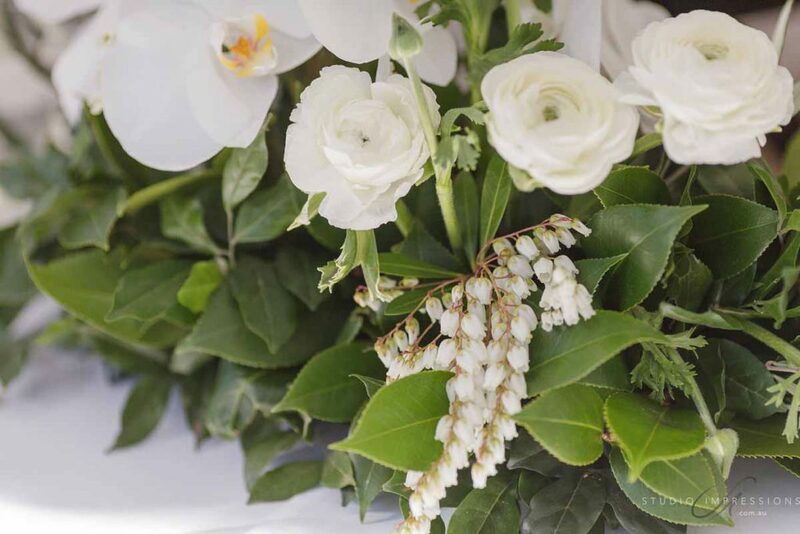 Thank you so much for such beautiful flowers, we really loved everything. 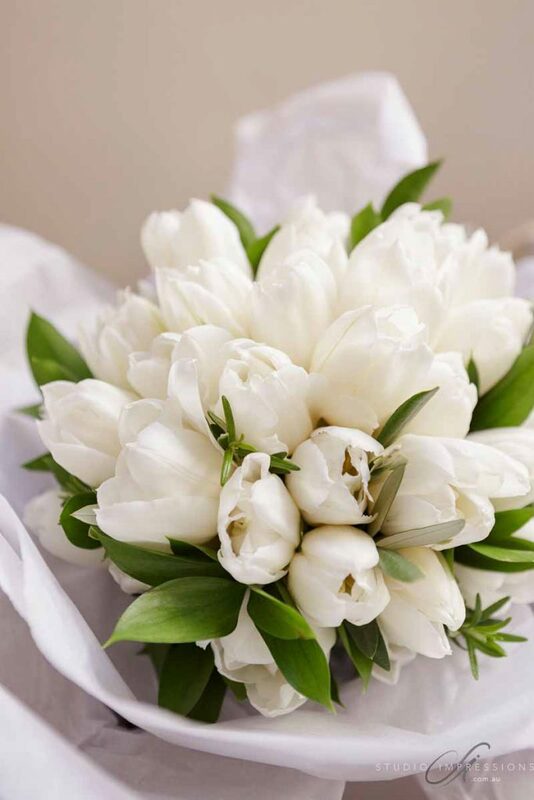 My parents still rave about the flowers your team did wonderful job. 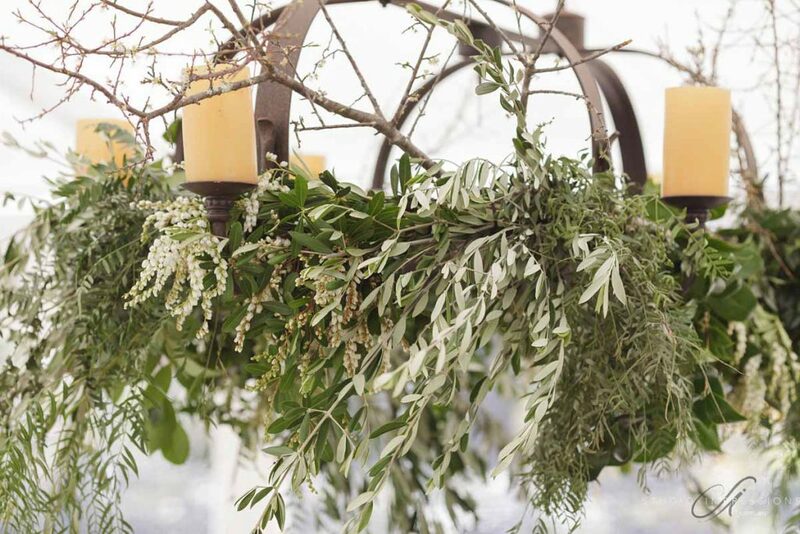 On the library deck, we dressed the existing light fittings with grouped and cascading mixed foliage, andromeda flower and blossom branches for a wintery feel. 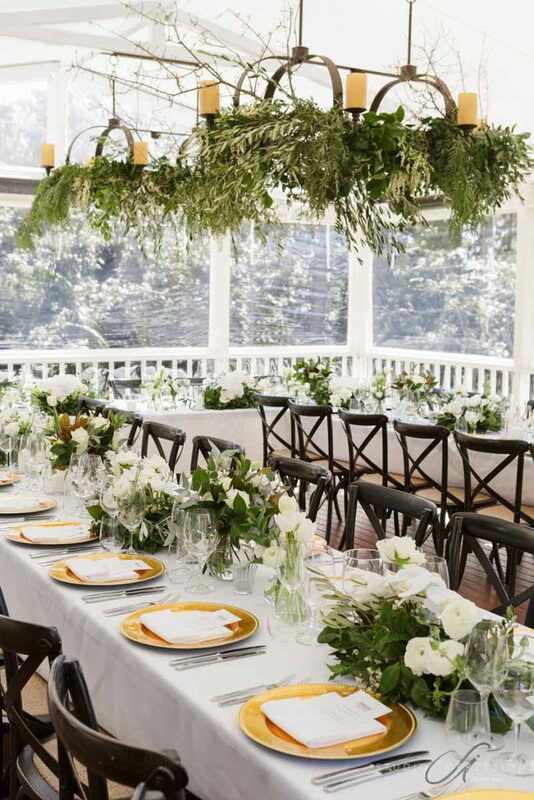 Clustered along the tables were a mass of our pillar candles in cylinder vases, tea light candles, and floral hedging. 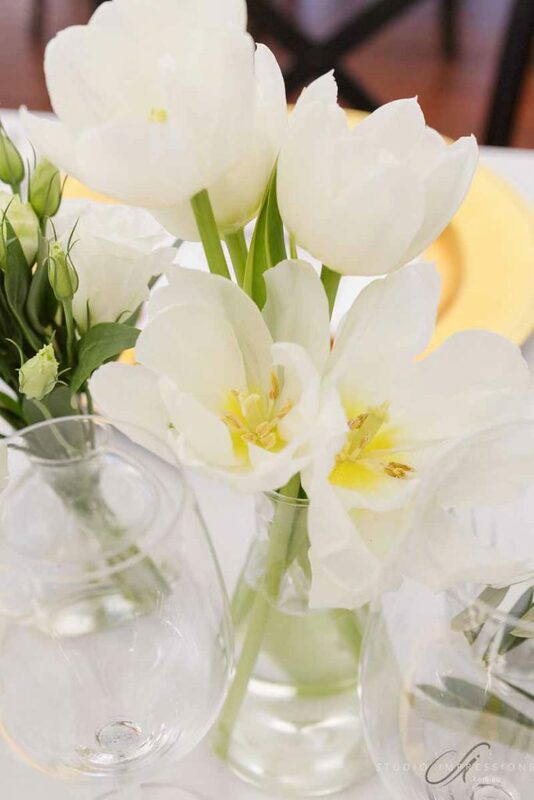 Contemporary vases of grouped flowers were also added to fill the tables for a luxurious feel. 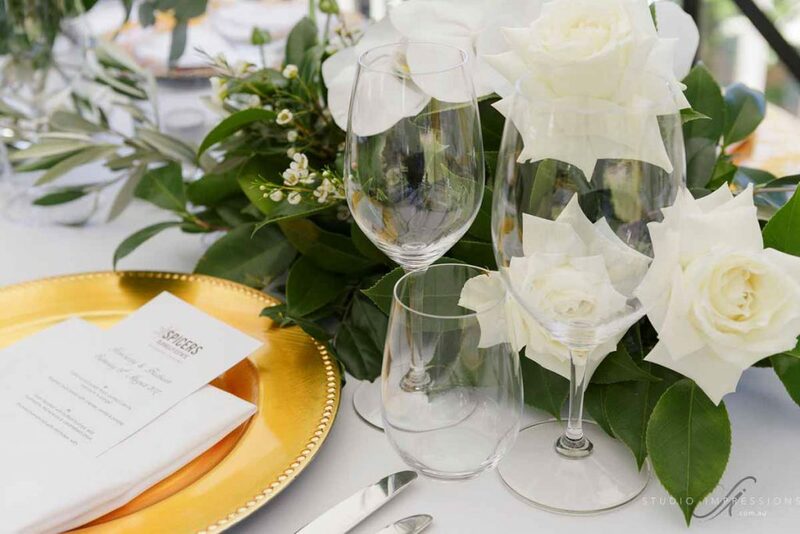 Simply Style Co’s charger plates were the icing on the cake.